Home Dining Bye-bye Static, Hello…Sushi? On a street filled with hookah lounges and loud music, Steinway isn’t the premier Astoria spot for good food – but it looks like that might begin to change! In the former home of Static Lounge, a now defunct club, residents will see the opening of a brand new seafood restaurant. The restaurant will be called Riou, and will take the spot at 28-43 Steinway Street. The previous interior of Static Lounge – lots of dining space! 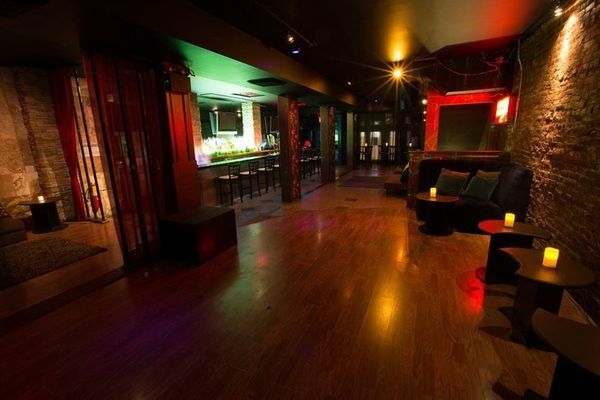 The club occupied a pretty large space, and we can’t wait to see how the owners change it up. We can’t say we’re sad to see the change – growing slightly tired of all the lounges, we’re more than looking forward to the strip changing up with some variety! We haven’t got much information on the restaurant as of yet, but we’re sure it’ll fit right in. We’ll keep you updated on menu changes and grand opening dates as they get closer – for now the owners are aiming for a mid-September opening! Previous articleJoin a Silent Disco! Shhhhh. Next articleBe a glam rock start tonight!